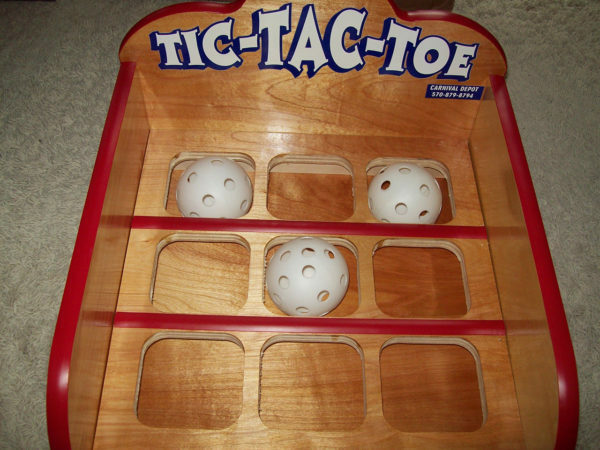 Tic-Tac-Toe is a classic game now in a carnival game! Players toss the balls into the game trying to get them all in a row. If they get three balls in row, they win!